Good morning! 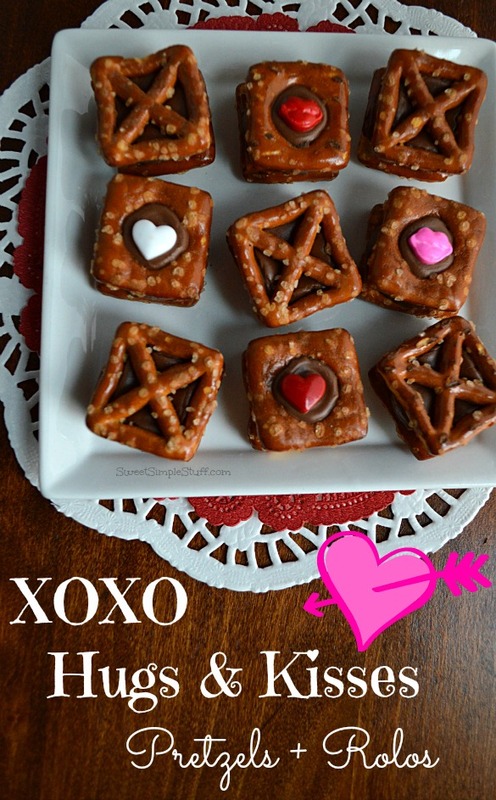 A few days ago I warned told you that more XOXO pretzel ideas would be coming! Well, I’m on a roll and got a big bag of pretzels to use. 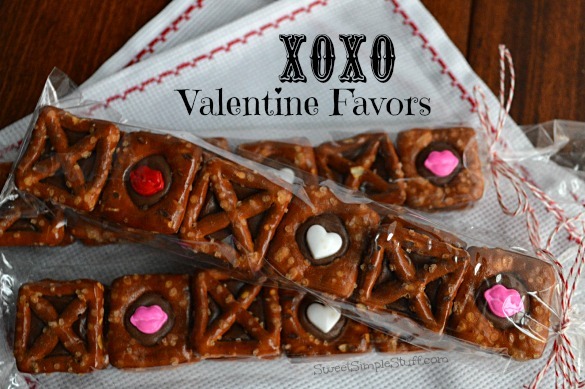 This idea came about while I was making the Snack Mix for Valentine’s Day and another idea popped into my head while I was making these XOXO Hugs & Kisses … Pretzels + Rolos! 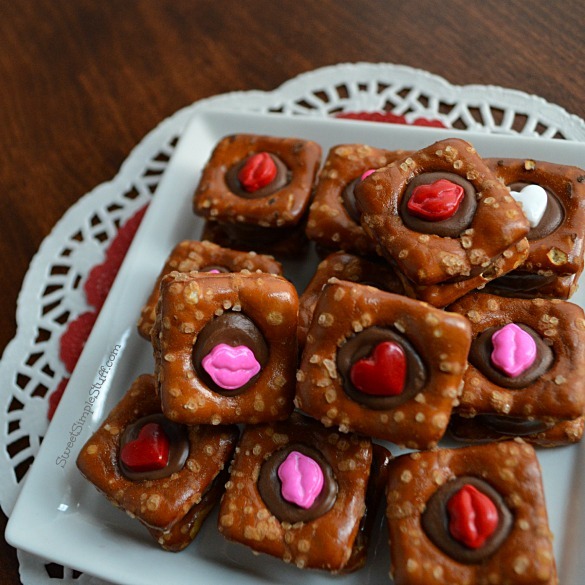 You have made the little sandwiches out of pretzels and Rolos before … haven’t you? 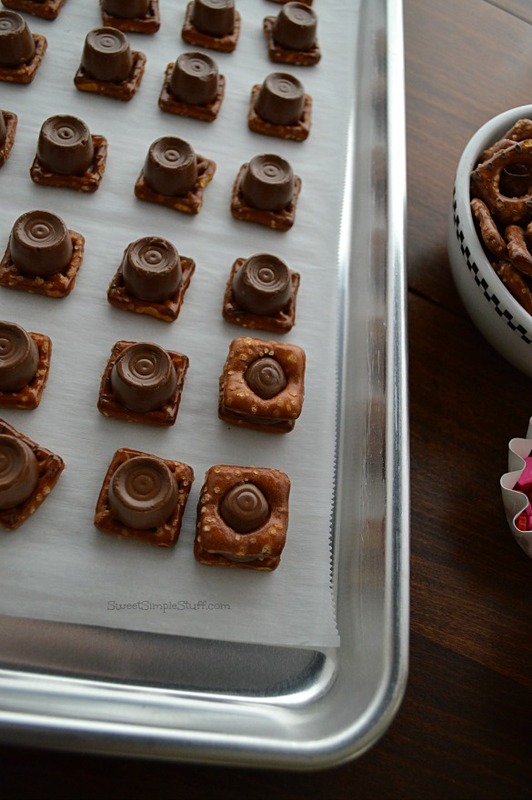 They are so easy to make and taste pretty dang good … crunchy pretzels with salt, milk chocolate and gooey caramel … one of my favorite flavor combos! 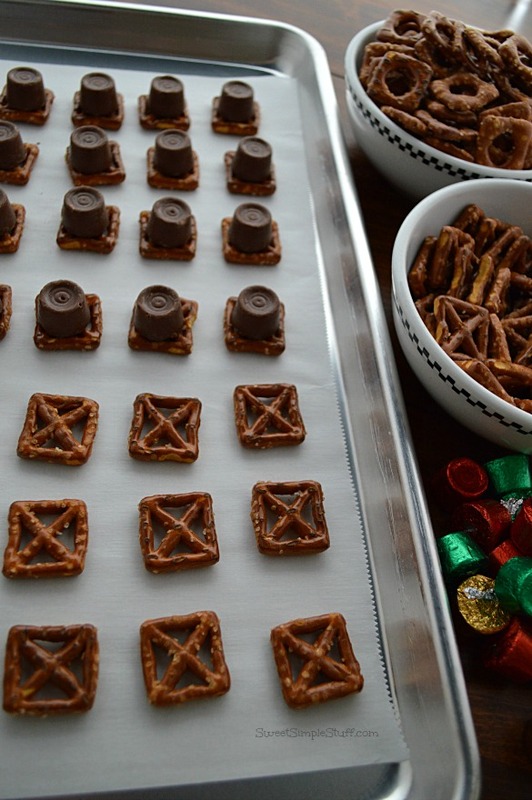 I used the same Tic Tack Toe pretzels from Target that I used in the Snack Mix. Click here for all the info. These packs are being delivered to a few girlfriends at coffee this morning. They’ll taste great with a nice hot latte or cup of tea! 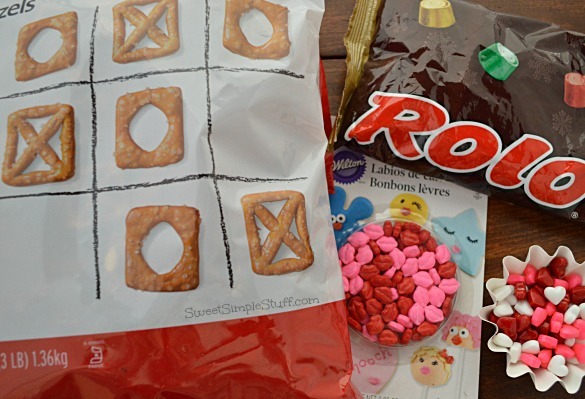 Add a Lip or Heart candy to the center of each O, press down slightly. 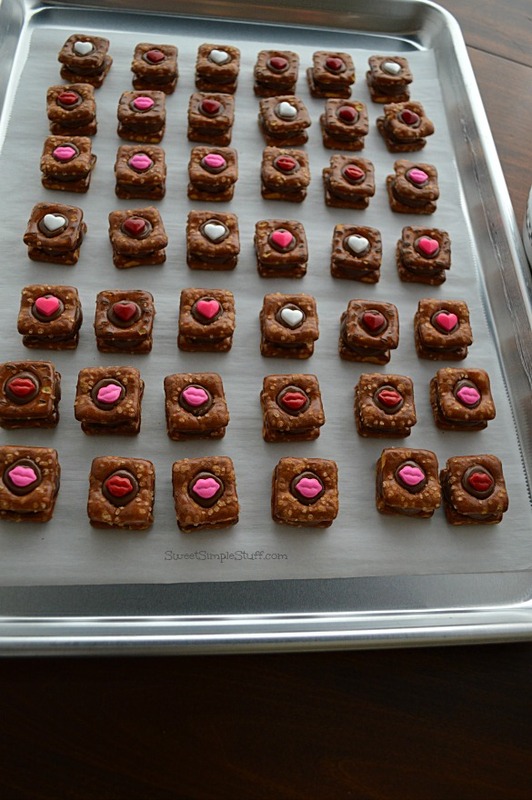 Let cool until chocolate hardens or pop them in the fridge for a few minutes (be sure that the baking pan is cooled). 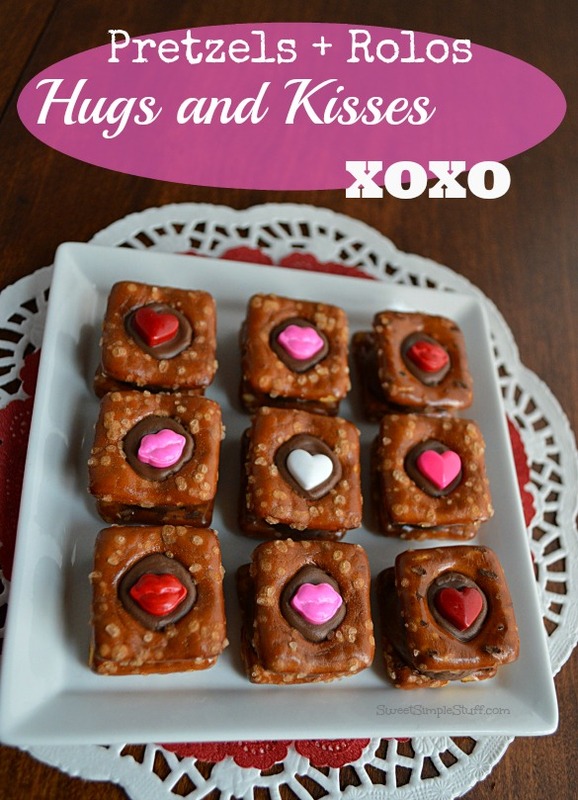 I gotta to go now … need to shower and get some clothes on before I meet my friends for coffee and bring them an early Valentine’s Day treat! 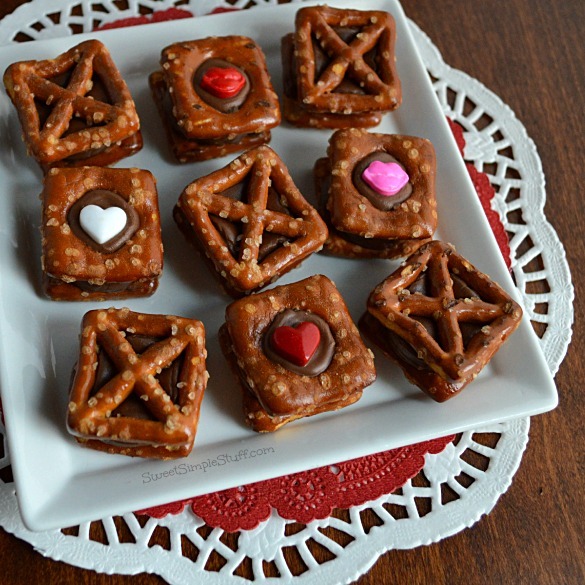 Do you like pretzels with Rolo candies?